President James E. Faust (1920-2007) was called as a Seventy in 1976, then as a member of the Quorum of Twelve in 1978. 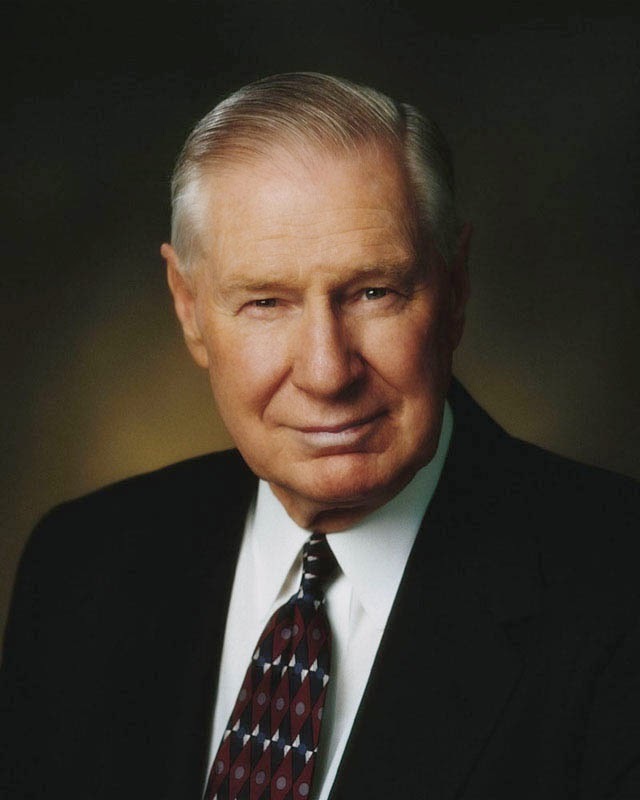 He served as a counselor to President Hinckley until his death in 2007 at age 87. 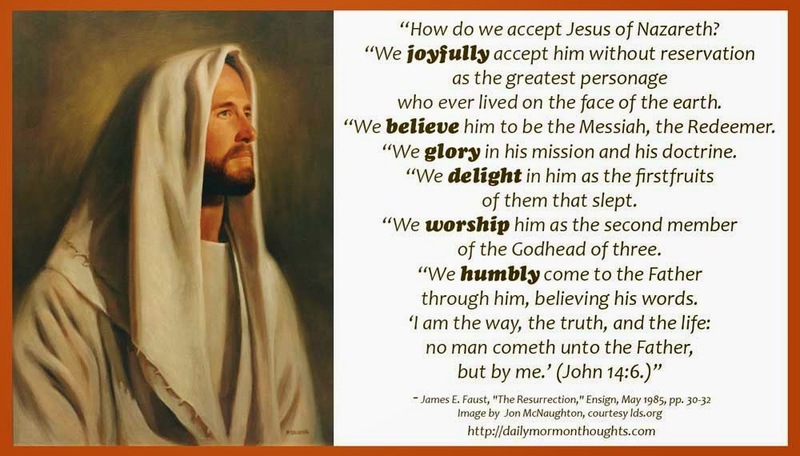 "How do we accept Jesus of Nazareth? "We joyfully accept him without reservation as the greatest personage who ever lived on the face of the earth. "We believe him to be the Messiah, the Redeemer. "We glory in his mission and his doctrine. "We delight in him as the firstfruits of them that slept. "We worship him as the second member of the Godhead of three. "To all we say, 'May Christ lift thee up, and may... the hope of his glory and of eternal life, rest in your mind forever.' (Moro. 9:25.)" This beautiful invitation and testimony from a life-long disciple of the Savior encapsulates the spirit of the Easter season. Much is embodied in that question, "How do we accept Jesus of Nazareth?" We much accept him with joy, with delight, with worship. But especially with our whole hearts, and our whole lives.